Historic preservationist Libby Holladay's passion is safeguarding the past, but her own history remains a mystery. When Libby's roommate, Nicole, uncovers information about an extended family that Libby never knew existed, hope begins to dawn in Libby's heart. But then Nicole abruptly goes missing. Libby arrives at the Tidewater Inn in beautiful Hope Beach, a remote island in the Outer Banks, to help local authorities find her friend. There she meets Kirk Bourne, a handsome Coast Guard captain. As they search the small town and surrounding beaches for Nicole together, they find clues about Libby's family... as well as evidence of greed and corruption in the burgeoning seaside town. As danger closes in, Libby discovers an unexpected inheritance of much more than mere money. And she finds a love that might be the safe harbour she's searched for all her life. 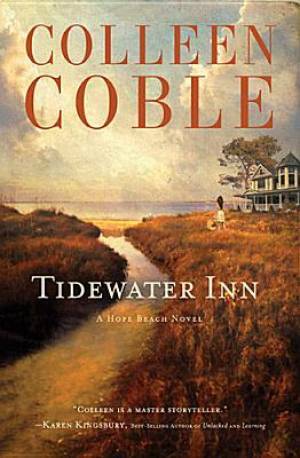 Tidewater Inn by Colleen Coble was published by Thomas Nelson in July 2012 and is our 15089th best seller. The ISBN for Tidewater Inn is 9781595547811. Be the first to review Tidewater Inn! Got a question? No problem! Just click here to ask us about Tidewater Inn.